This newer model Searay 45′ motor yacht is about comfort and spacious-ness. 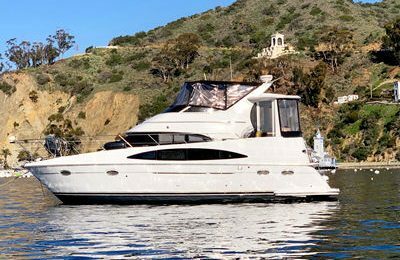 Chartering this high end motor yacht to romantic Catalina island is certainly a remarkable experience you won’t forget. There are 2 state rooms, 2 restrooms aboard, equipped with 2 kayaks, 2 paddle boards and 2 fishing poles for you to enjoy the water. 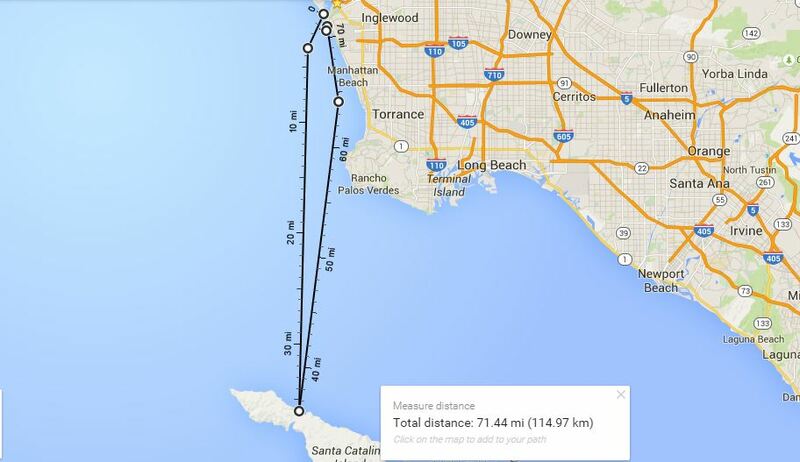 Depart from Marina del Rey harbor at 9:00 am in the morning. The trip is about 2.5 hours each way to 2 harbors. The yacht is your entertainment console while you enjoy Catalina island, you can do everything you want to enjoy the crystal clear Catalina water, then have hot shower at the boat, relax yourself, or you may want find a private beach to get away from the crowded world, this is your personalized trip, just do whatever you want. Extend stay till 11:00 am next day in the island is also available upon book with extra cost of $500. 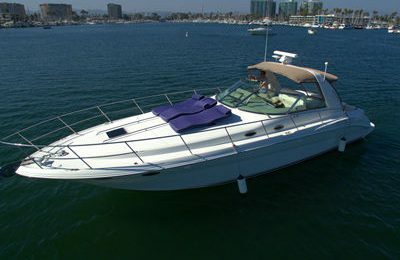 A 45′ Searay motor yacht with all comfort equipment aboard. 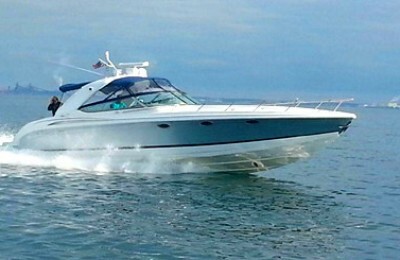 Handling this powerboat is available upon request. Snorkeling, deep sea fishing, swimming is also possible, kayaking and paddle boarding gear are included.